Defiant and relegated to work at her aunt’s boarding house, Avery discovers a connection between her aunt and the striking boy. He and his brothers are seeking revenge for the wrongful death of their sibling, and Avery becomes entangled in their battle over oil rights, loyalty, and love. Avery falls for the brooding, younger brother, Gabriel Halden, against her aunt’s forewarnings and creates more tribulations than any of them could anticipate. 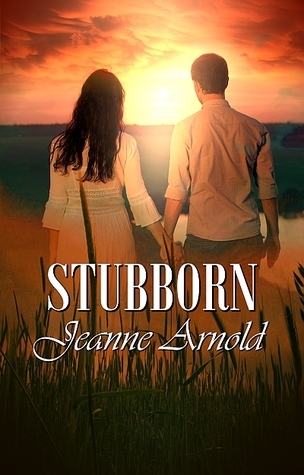 Jeanne Arnold is the author of STUBBORN and other young adult romances. At a young age she found her creative outlet in art, and for years her fictional characters came to life in drawings and paintings, until they demanded a voice. Now they grace the pages of her stories. Jeanne shares her time with her fictional teenage counterparts and her human family in Central New York. NOTE: Please do not post any negative reviews (below 3 stars or have rants) that is hurtful to the author and affects the promotional aspect of the tour. Post the blurb and giveaway instead if you're unhappy with the story, or send me an email if you'd like to back out. Thank you for understanding. This sounds like an excellent book for my daughters and I to read! Oooh, how I love the synopsis!